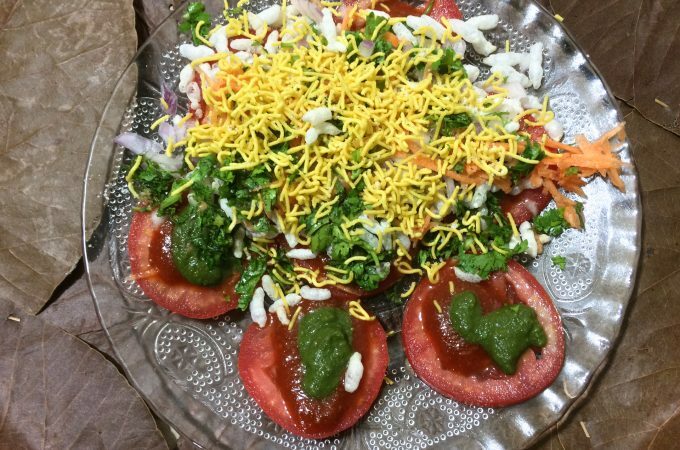 For street chaat lovers tomato chat is one of the very popular chats. Other popular chaats we used to eat are churumuri with green chilli masala, Mangalore Style churumuri , masal puri, pani puri, cucumber chaat. 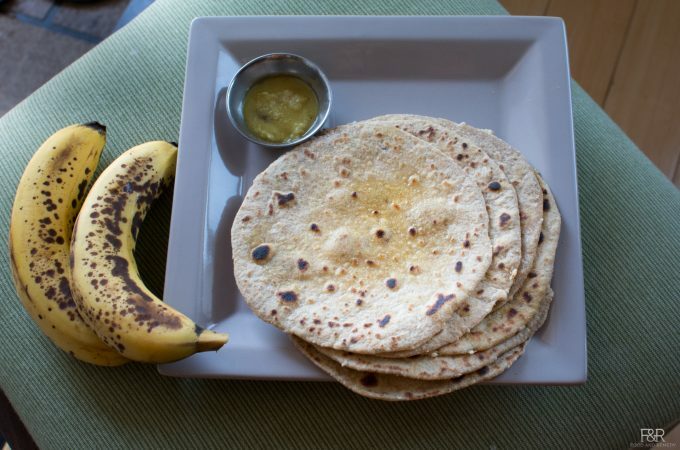 All these are very easy to make, healthy and definitely satisfy your cravings. If you have the green chutney and sweet chutney in the freezer you can prepare this chat in minutes. Seven Cup Burfi or Five Star burfi is a sweet with five ingredients. 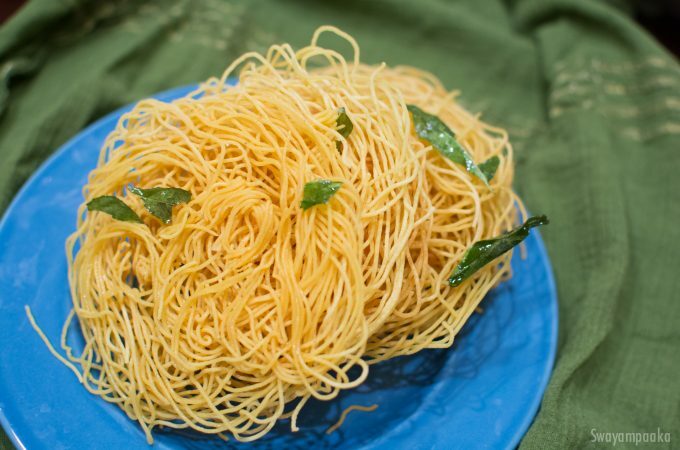 Delicious with coconut, ghee and besan/gram flour as it main ingredients. It is one of the popular sweet in Karnataka. With fresh coconut, ghee and milk taste is just heavenly. It is also one of the sweets you can prepare during navaratri festival and on Deepavali festival. Festivals are always family and friends get together, share food especially the sweets! 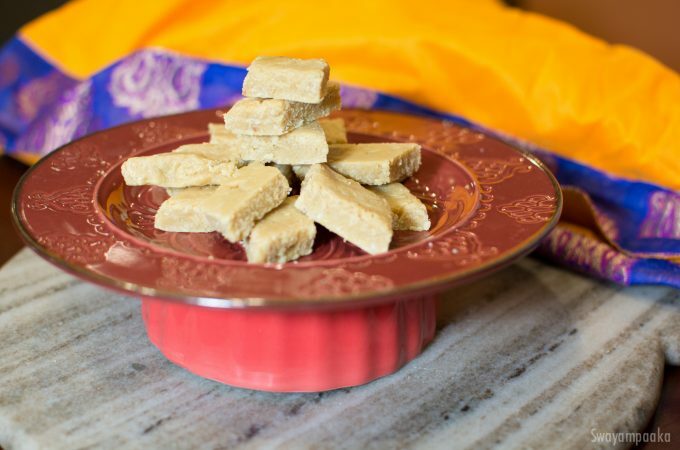 Prepare easy and delicious 7 cup burfi and share it with your friends and family. Try this ALmond burfi, coconut pineapple burfi, coconut burfi , coconut Mango Burfi and Cashew Burfi .